Friedrich Wilhelm Ernst Paulus (23 September 1890 – 1 February 1957) was an officer in the German military from 1910 to 1945. He attained the rank of Generalfeldmarschall (field marshal) during World War II, and is best known for commanding the Sixth Army in the Battle of Stalingrad (August 1942 to February 1943), including the successful advance toward the city of Stalingrad and the less successful attack in 1942 (part of Case Blue, June to November 1942) stopped by the Soviet counter-offensives during the 1942–1943 winter. The battle ended in disaster for Nazi Germany when Soviet forces encircled and defeated about 265,000 personnel of the Wehrmacht, their Axis allies, and the anti-Soviet volunteers. Of the 107,000 Axis servicemen captured, only 6,000 survived captivity and returned home by 1955. 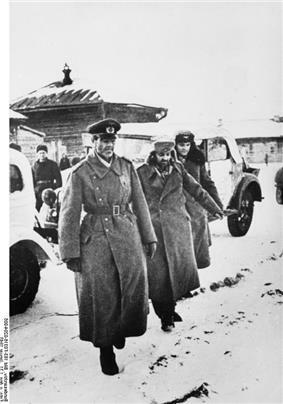 Soviet troops took Paulus by surprise and captured him in Stalingrad on 31 January 1943,[Note 1] the same day on which he was informed of his promotion to field marshal (Generalfeldmarschall) by Adolf Hitler. Hitler expected Paulus to commit suicide, citing the fact that there was no record of a German field marshal ever being captured alive. 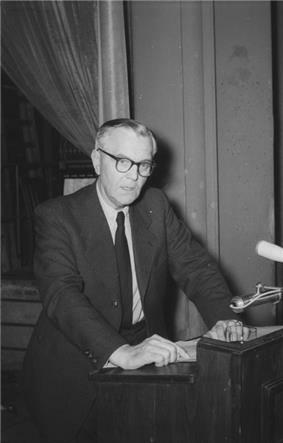 While in Soviet captivity during the war, Paulus became a vocal critic of the Nazi regime and joined the Soviet-sponsored National Committee for a Free Germany. He moved to the German Democratic Republic (East Germany) in 1953. Paulus was born in Guxhagen, Hesse-Nassau, the son of a school teacher. He tried, unsuccessfully, to secure a cadetship in the Imperial German Navy (Kaiserliche Marine) and briefly studied law at Marburg University. After leaving the university without a degree, he joined the 111th Infantry Regiment as an officer cadet in February 1910. He married Elena Rosetti-Solescu on 4 July 1912. When World War I began, Paulus's regiment was part of the thrust into France, and he saw action in the Vosges and around Arras in the autumn of 1914. After a leave of absence due to illness, he joined the Alpenkorps as a staff officer, serving in Macedonia, France and Serbia. By the end of the war, he was a captain. After the Armistice, Paulus was a brigade adjutant with the Freikorps. He was chosen as one of only 4,000 officers to serve in the Reichswehr, the defensive army that the Treaty of Versailles had limited to 100,000 men. He was assigned to the 13th Infantry Regiment at Stuttgart as a company commander. He served in various staff positions for over a decade (1921–1933) and then briefly commanded a motorized battalion (1934–1935) before being named chief of staff for the Panzer headquarters in October 1935. This was a new formation under the direction of Oswald Lutz that directed the training and development panzerwaffen or tank forces of the German army. In February 1938 Paulus was appointed Chef des Generalstabes to Guderian's new XVI Armeekorps (Motorisiert), which replaced Lutz's command. Guderian described him as ‘brilliantly clever, conscientious, hard working, original and talented’ but already had doubts about his decisiveness, toughness and lack of command experience. He remained in that post until May 1939, when he was promoted to major general and became chief of staff for the German Tenth Army, with which he saw service in Poland. The unit was renamed the Sixth Army, and engaged in the spring offensives of 1940 through the Netherlands and Belgium. Paulus was promoted to lieutenant general in August 1940. The following month he was named deputy chief of the German General Staff (Oberquartiermeister I). In that role he helped draft the plans for the invasion of the Soviet Union. In December 1941, after German Sixth Army's commander Field Marshal Walther von Reichenau became commander of the entire Army Group South, Paulus was promoted to general der Panzertruppe and became commander of the Sixth Army. He led the drive on Stalingrad during that summer. Paulus' troops fought the defending Soviet troops holding Stalingrad over three months in increasingly brutal urban warfare. In November 1942, when the Soviet Red Army launched a massive counter-offensive, code named Operation Uranus, Paulus found himself surrounded by an entire Soviet Army Group. Paulus followed Adolf Hitler's orders to hold the Army's position in Stalingrad under all circumstances, despite the fact that he was completely surrounded by strong Soviet formations. 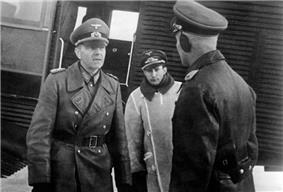 Operation Winter Storm, a relief effort by Army Group Don under Field Marshal Erich von Manstein was launched in December. Following his orders, Paulus refused to cooperate with the offensive by trying to break out of Stalingrad; he kept his entire army in fixed defensive positions. Manstein told Paulus that the relief would be unlikely to succeed without assistance from the Sixth Army, but Paulus remained absolutely firm in obeying the orders he had been given. Manstein's forces were unable to reach Stalingrad on their own and their efforts were eventually halted due to Soviet offensives elsewhere on the front. 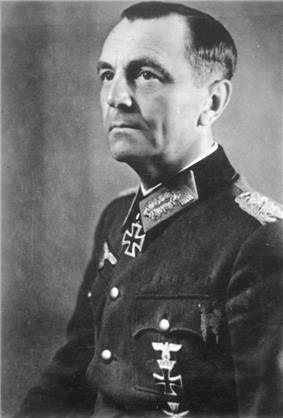 Kurt Zeitzler, the newly appointed chief of the Army General Staff, eventually got Hitler to allow Paulus to break out, provided they also held onto Stalingrad; an impossible task. For the next two months, Paulus and his men fought on. However, the lack of food, ammunition, equipment attrition and the deteriorating physical condition of the German troops gradually wore down the German defence. The battle was fought with terrible losses and suffering on both sides. On 8 January 1943, General Konstantin Rokossovsky, commander of the Red Army on the Don front, called a cease fire and offered Paulus' men generous surrender terms: normal rations, medical treatment for the ill and wounded, permission to retain their badges, decorations, uniforms and personal effects, and repatriation to any country they wished after the war; terms that Rokossovsky was not in a position to guarantee. As part of his communication, Rokossovsky advised Paulus that he was in an impossible situation. Paulus requested permission from Hitler to surrender. As before, Hitler rejected the request out of hand. Although it was obvious the Sixth Army was in an untenable position, Hitler ordered Paulus to hold "fortress Stalingrad" to the last man. After a heavy Soviet offensive overran the last emergency airstrip in Stalingrad on 25 January, the Soviets again offered Paulus a chance to surrender. Paulus radioed Hitler once again for permission to surrender. Paulus stressed that his men were without ammunition or food, and he was no longer able to command them. He also said that 18,000 men were wounded and were in immediate need of medical attention. Once again, Hitler ordered Paulus to hold Stalingrad to the death. On 30 January, Paulus informed Hitler that his men were only hours from collapse. Hitler responded by showering a raft of field promotions by radio on Paulus' officers to build up their spirits and steel their will to hold their ground. Most significantly, he promoted Paulus to field marshal. In deciding to promote Paulus, Hitler noted that there was no known record of a Prussian or German field marshal ever having surrendered. The implication was clear: Paulus was to commit suicide. If Paulus surrendered, Hitler implied he would shame Germany's military history. Although he at first refused to collaborate with the Soviets, after the attempted assassination of Hitler on 20 July 1944, Paulus became a vocal critic of the Nazi regime while in Soviet captivity, joining the Soviet-sponsored National Committee for a Free Germany and appealing to Germans to surrender. He later acted as a witness for the prosecution at the Nuremberg Trials. He was allowed to move to the German Democratic Republic in 1953, two years before the repatriation of the remaining German POWs who were held under the pretext that West Germany was not recognised by the Soviet Union, and were used for forced labour. ^ "I didn't surrender. I was taken by surprise". (Paulus in conversation with Marshal Voronov). ^ Werth; Bartošek; Panné; Margolin; Paczkowski; Courtois 1999, p. 322. ^ Fellgiebel 2000, p. 334. ^ “Award Document to General der Panzertruppen Paulus, Item Number: EU4642”. eMedals. eMedals, n.d. Web. 12 Dec 2013. < http://www.emedals.com/collectors-gallery/europe/croatia/documents-photos/general-der-panzertruppen-von-paulus-award-doc-eu4642>. Scherzer, Veit (2007). Die Ritterkreuzträger 1939–1945 Die Inhaber des Ritterkreuzes des Eisernen Kreuzes 1939 von Heer, Luftwaffe, Kriegsmarine, Waffen-SS, Volkssturm sowie mit Deutschland verbündeter Streitkräfte nach den Unterlagen des Bundesarchives [The Knight's Cross Bearers 1939–1945 the Holders of the Knight's Cross of the Iron Cross 1939 by Army, Air Force, Navy, Waffen-SS, Volkssturm and Allied Forces with Germany According to the Documents of the Federal Archives] (in German). Jena, Germany: Scherzers Miltaer-Verlag. Thomas, Franz (1998). Die Eichenlaubträger 1939–1945 Band 2: L–Z [The Oak Leaves Bearers 1939–1945 Volume 2: L–Z] (in German). Osnabrück, Germany: Biblio-Verlag.